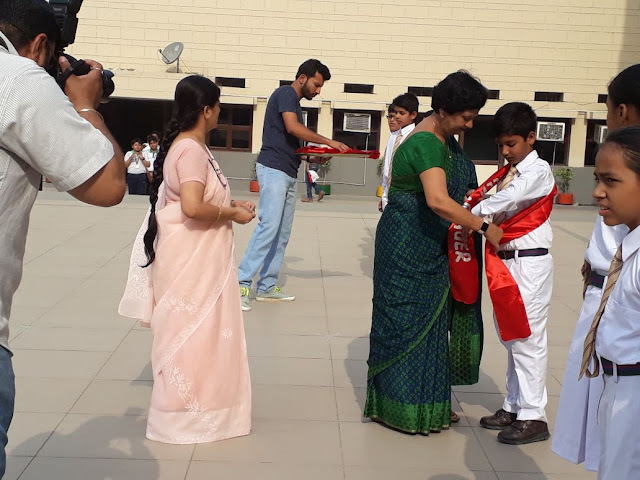 The dreams of students came into reality when they received Medals and Trophies for all their consistent efforts through the year. 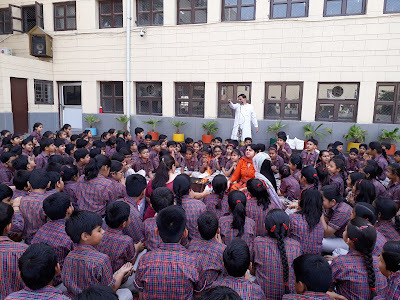 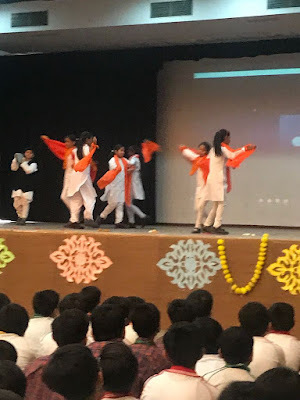 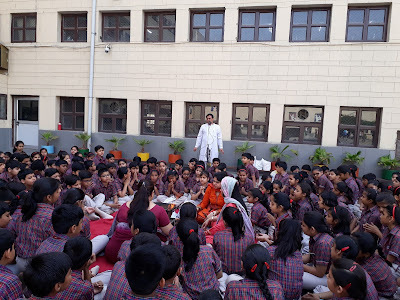 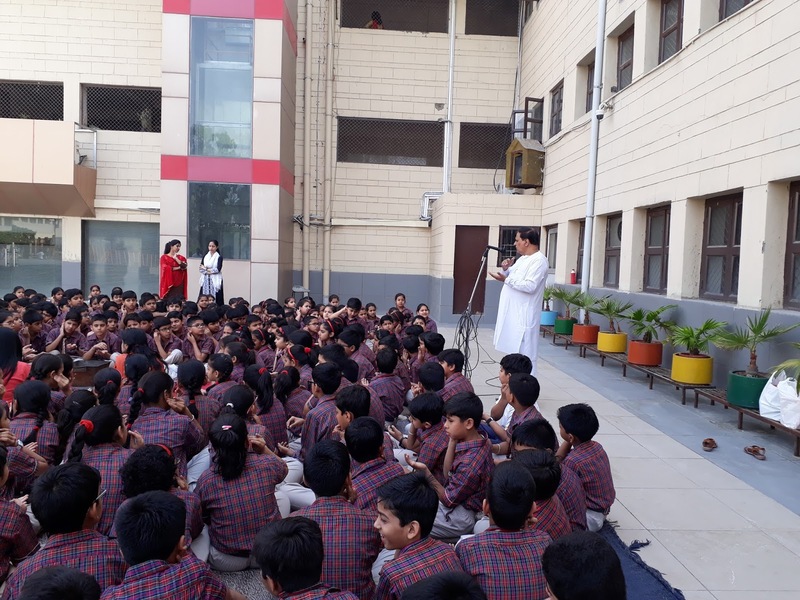 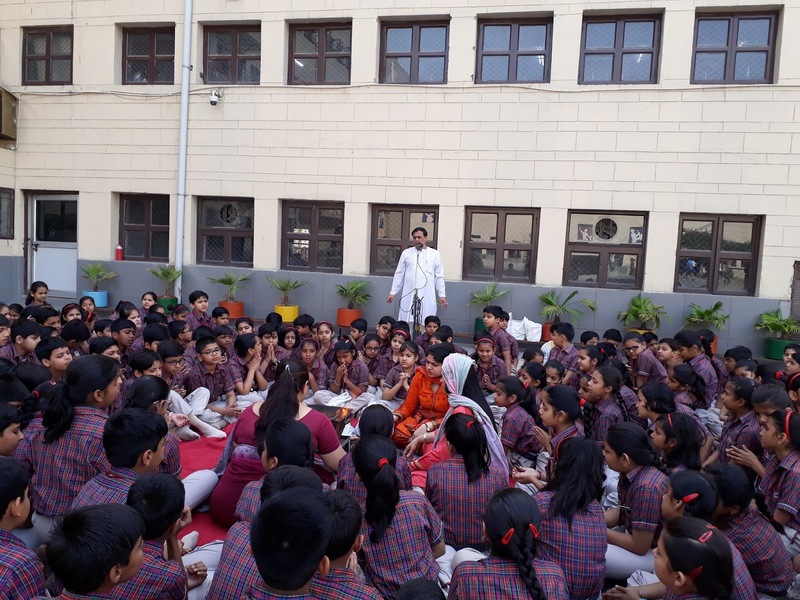 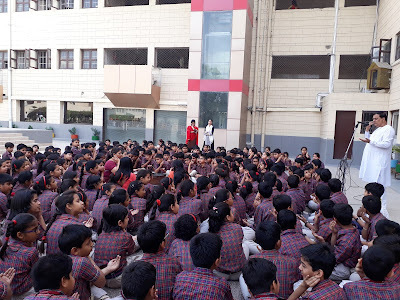 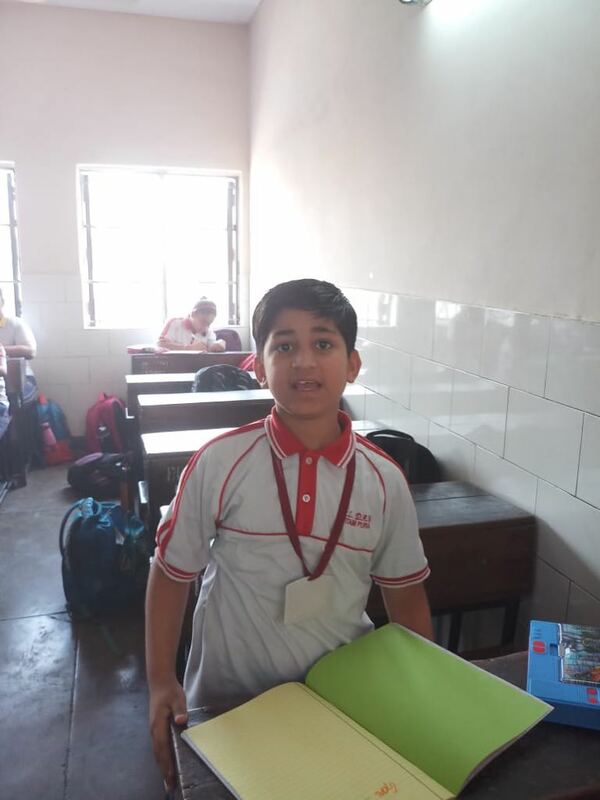 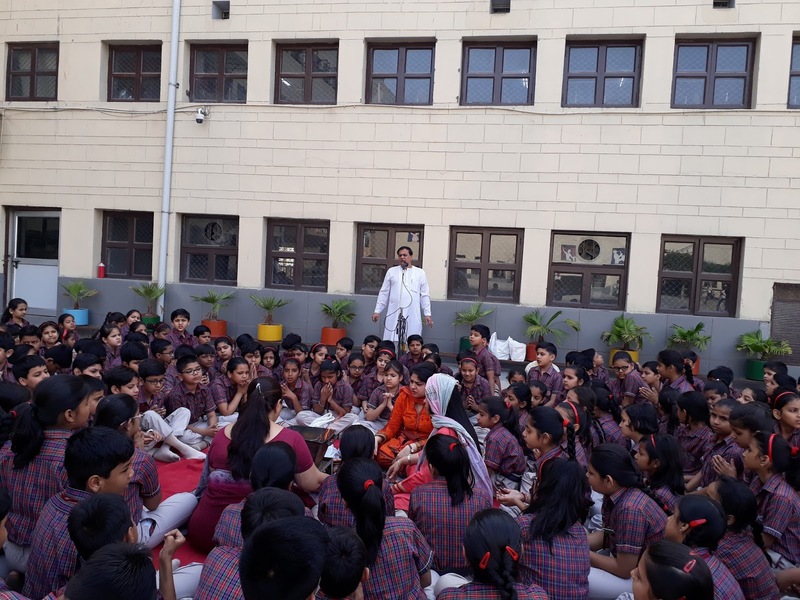 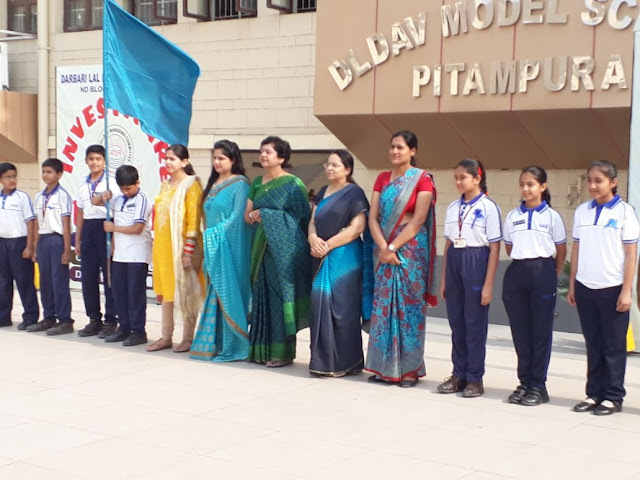 A special assembly was held for the students of classes IV-VI on 4th April to accolade the performance of the students who scored 90% and above in the exams. 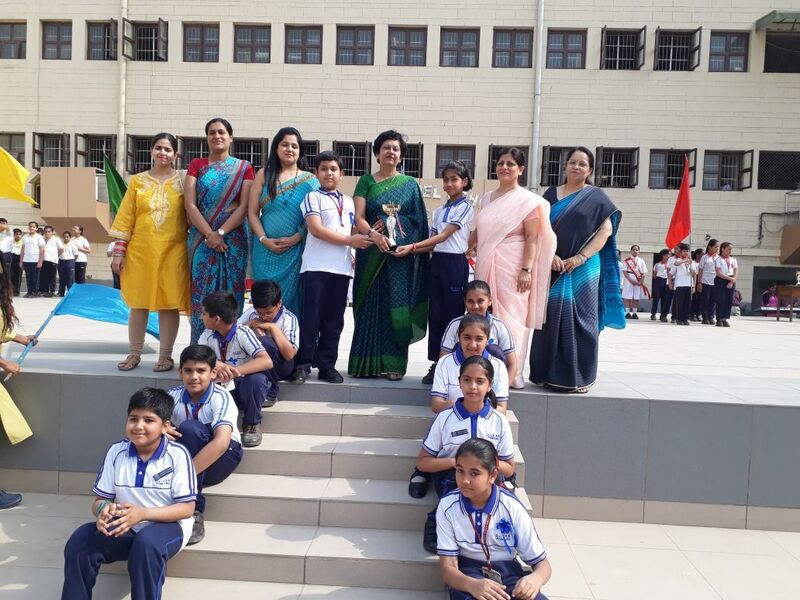 All the prize winners were full of zeal and enthusiasm. Principal Ma'am appreciated the winners and also enlightened all the students with her words of motivation. 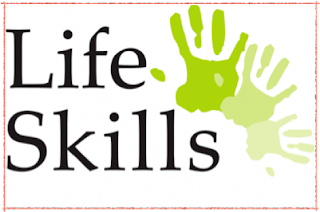 The positive side of life is change and when the winds of change blow they usher with them an era of creativity, innovation and new ideas. 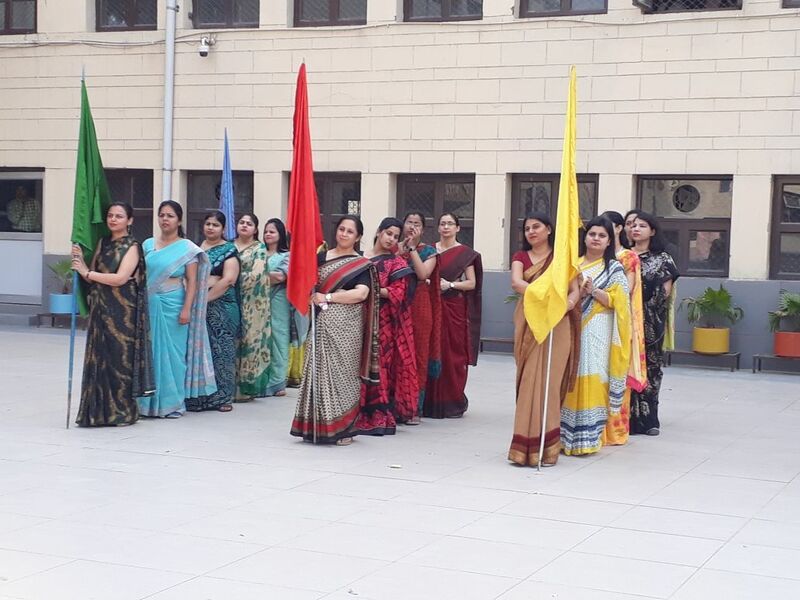 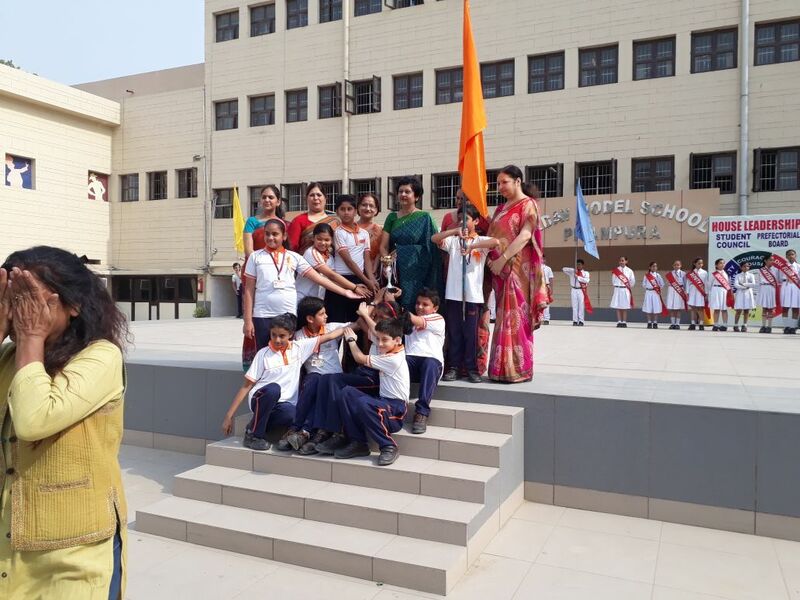 The school ushered in its 38th Birthday with a grand celebration. 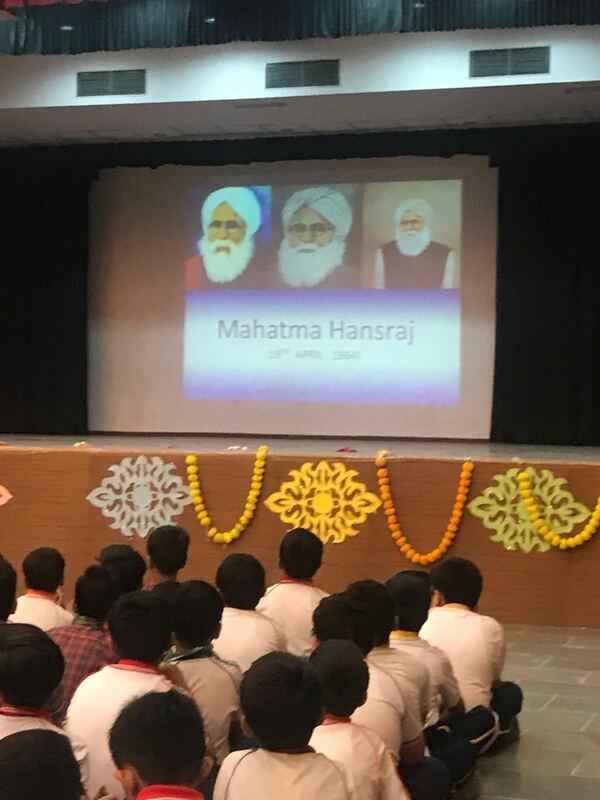 The spirit of faith and hope was reignited in the heart of one and all present as the atmosphere resonated with a promise of upholding the cherished ideals of brotherhood and inclusivity that the school stands for. 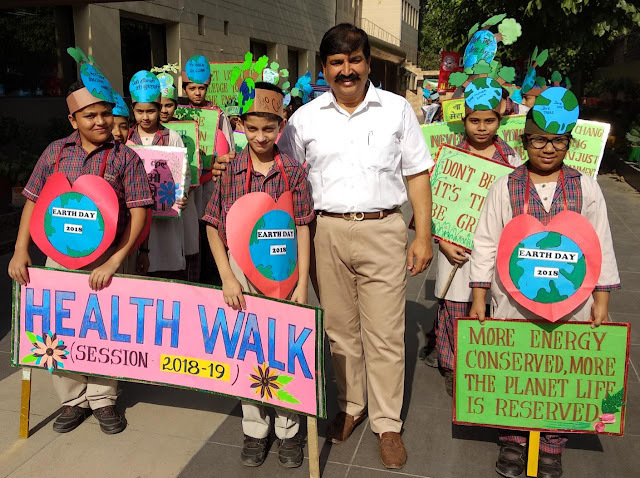 This day is significant because of the number of years it has served the community and helped to groom and nature a number of young citizens. 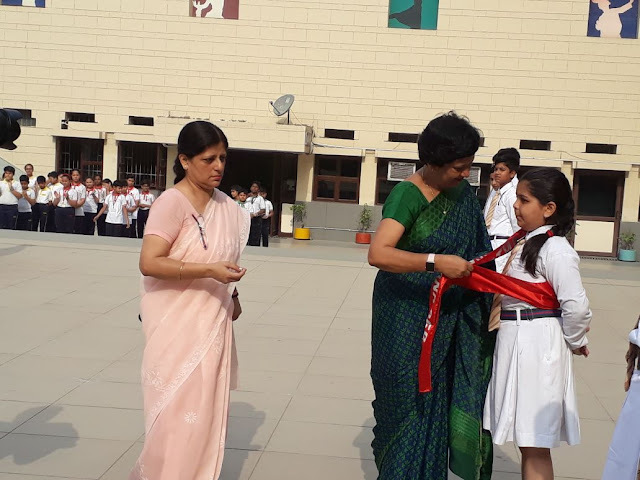 The school has grown from humble beginnings to its eminent stature today.The auspicious morning started with address of Madam Principal. 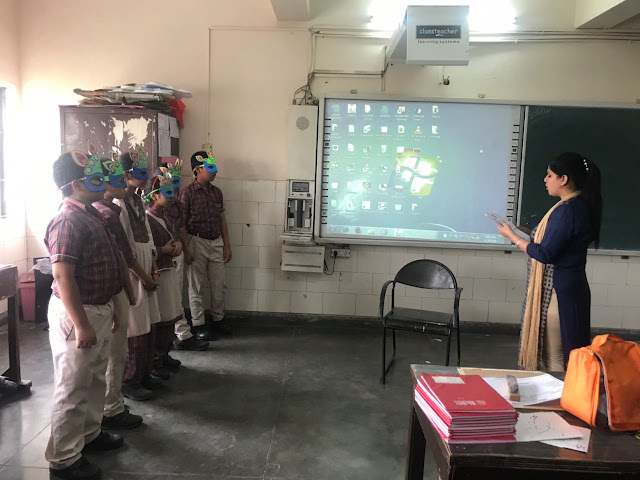 She encouraged students to make constant efforts and become the best by excelling in the field they are interested in. 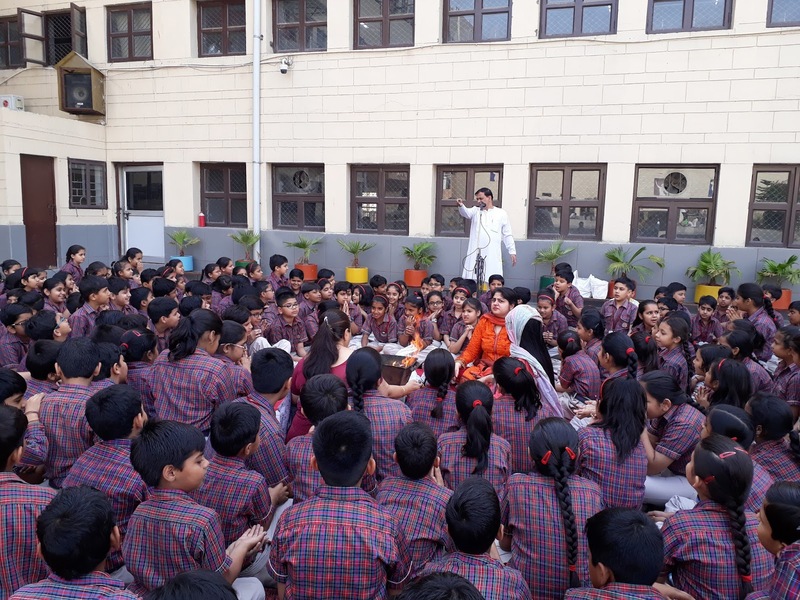 The day began with havan for students of class VI followed by Rishi langar for students and staff. 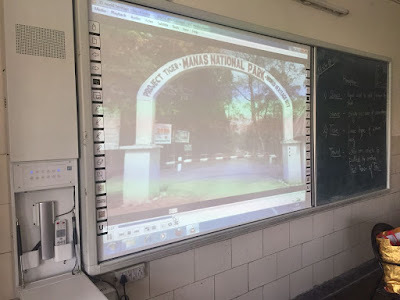 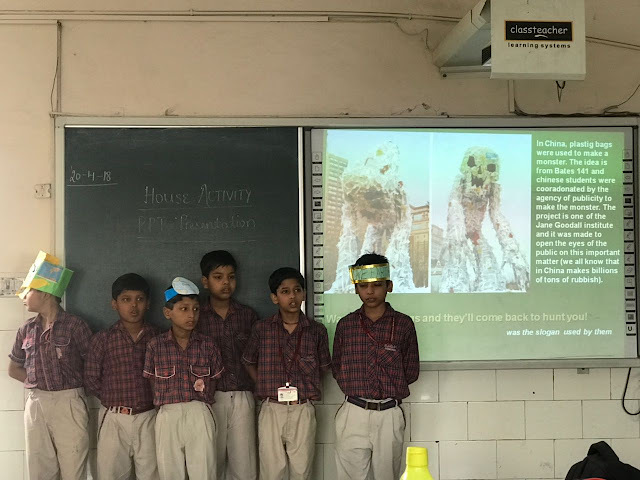 A power point presentation on the school depicting the accomplishments of the school was run in each classroom of the school. 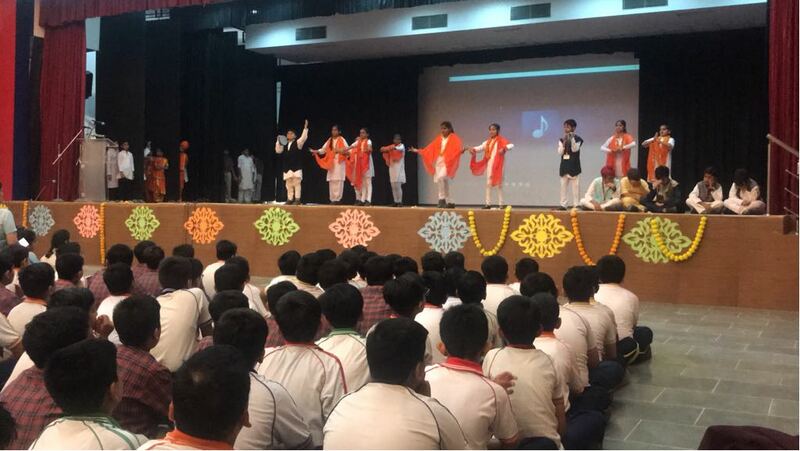 The students took pride in glorifying and celebrating the Mahatma Hansraj Diwas . The assembly commenced with a melodious mantra ucharan , which was followed by a skit depicting the life history and ideals of Mahatma Hansraj. . An enthralling dance performance paying tribute to Mahatma Hansraj was presented by the students.The colorful attire and enthralling performances were appreciated by Principal madam , teachers and all the students of class VI. .
India is one country that has various monuments and sites that are protected and resurrected till date. 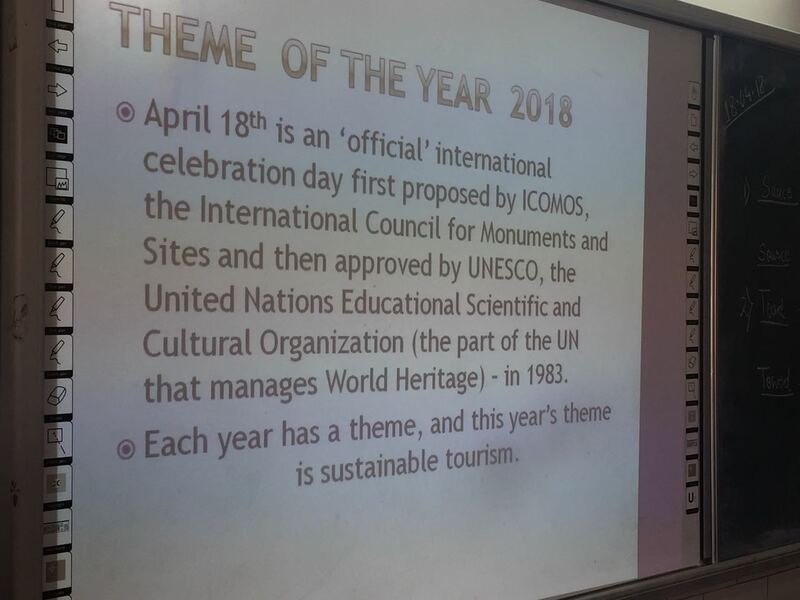 World heritage day has an important part to play in this colorful land, where you can find huge tombs sprawling over the land, towers that are so high that one can feel the sky and sites- so beautiful that keeps you mesmerized. 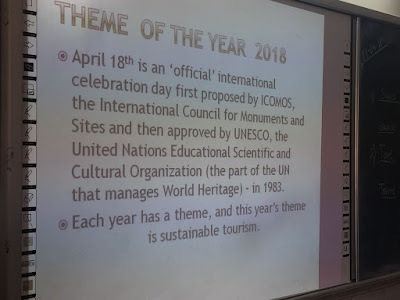 India has all of it and to maintain these monuments and keep them alive for our upcoming generations, this day is celebrated to spread awareness to protect these priceless monuments. 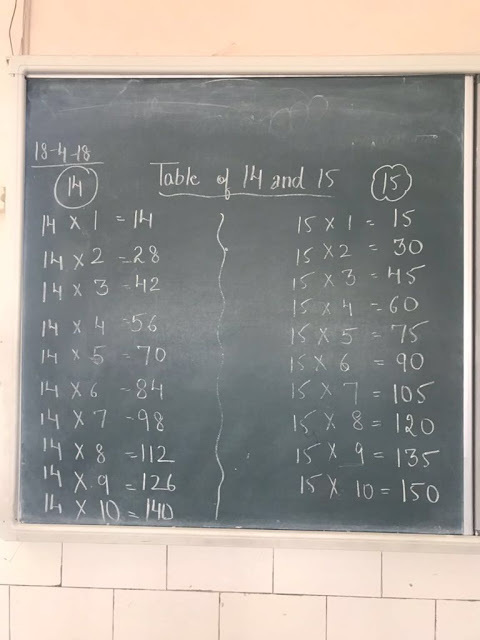 An effort was made to make the students aware about the same.. The students were explained the meaning and importance of this day . 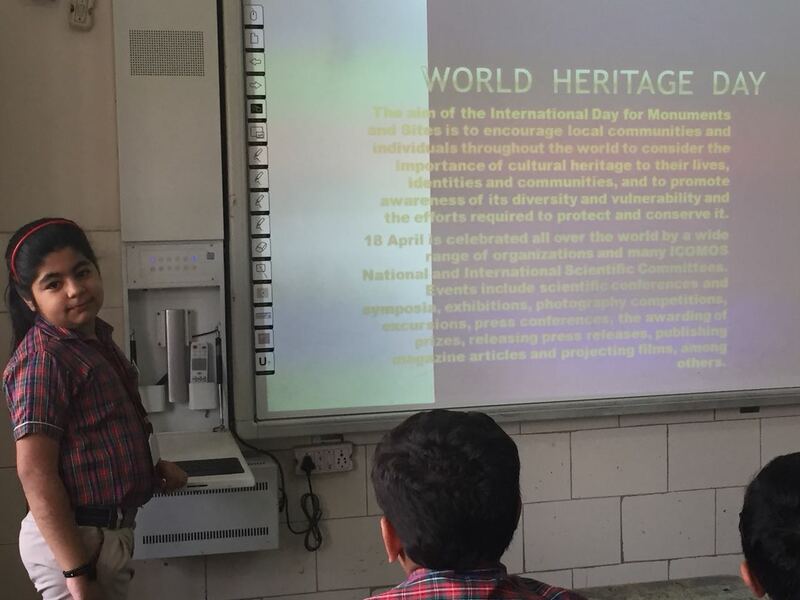 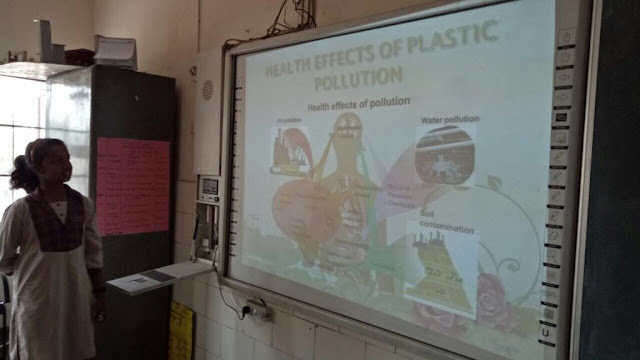 A power point presentation was shown to all the students. 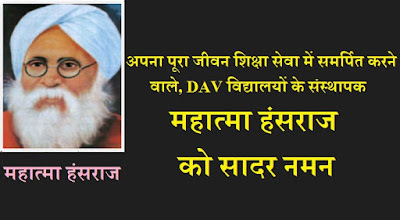 D.A.V. 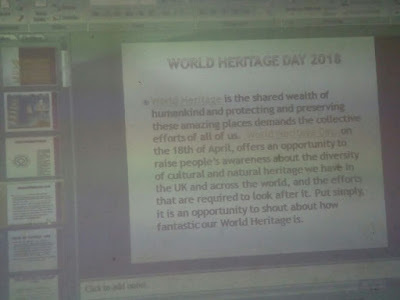 has not forgotten India's rich culture. The Hawan is not merely a ritual, but a simple and a healthy process which gives us peace . 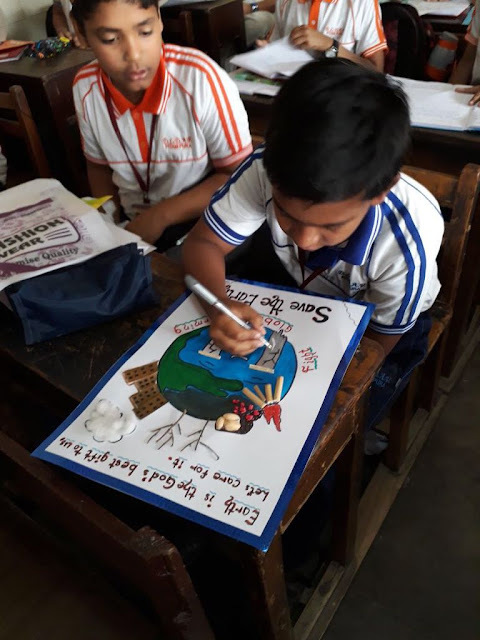 We the DAVians strongly believe in eradicating inner as well as outer imperfections by destroying undesirable elements and enriching positive energies in the environment through this holy practice. 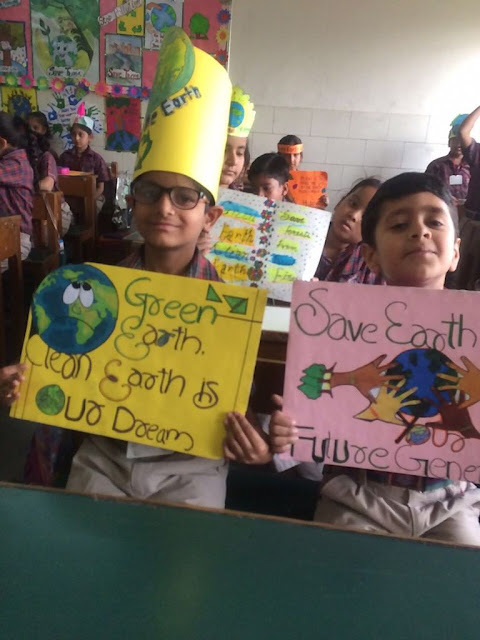 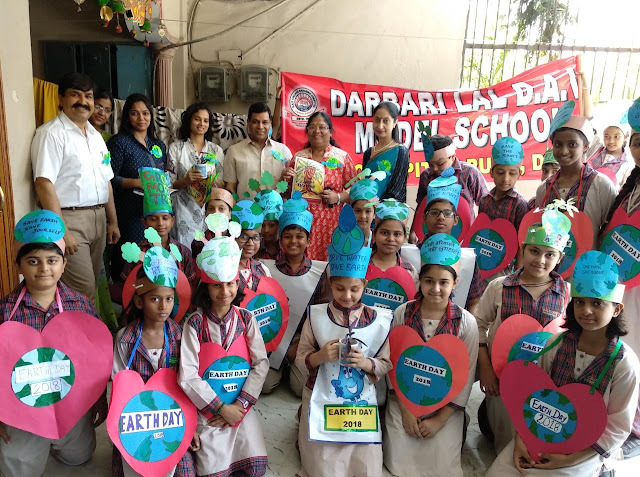 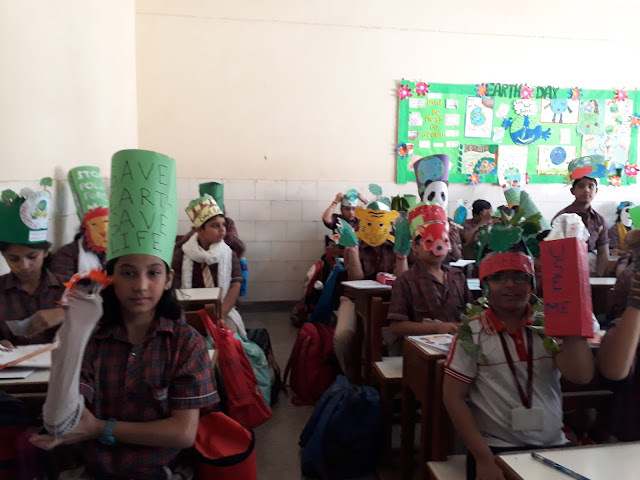 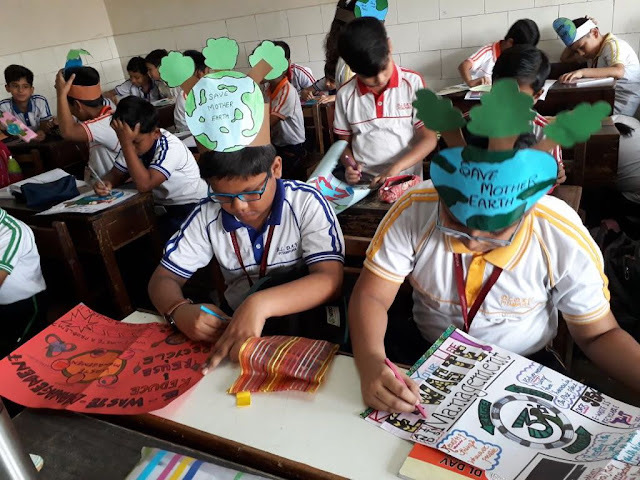 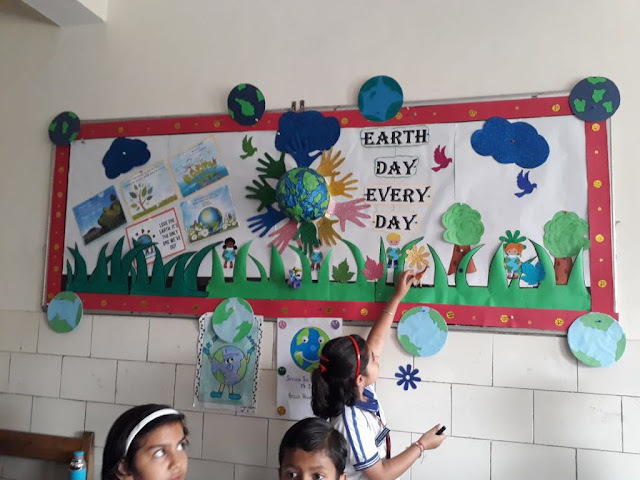 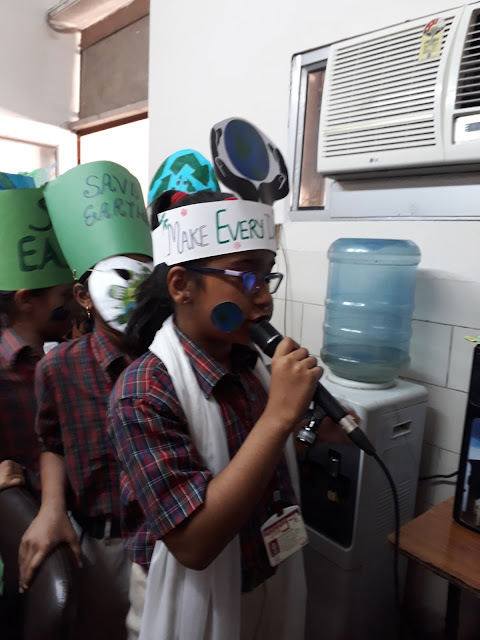 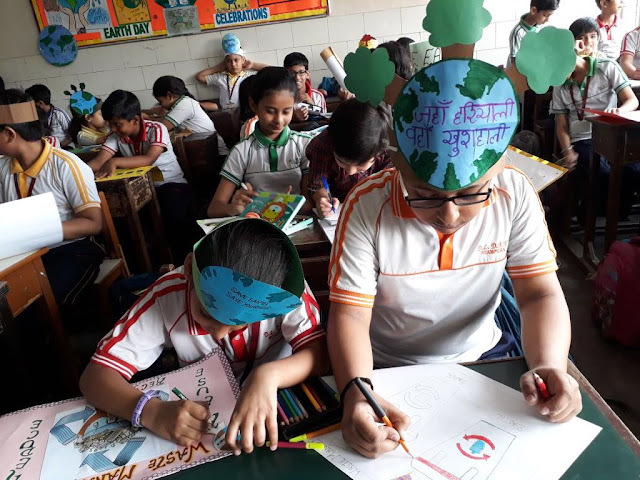 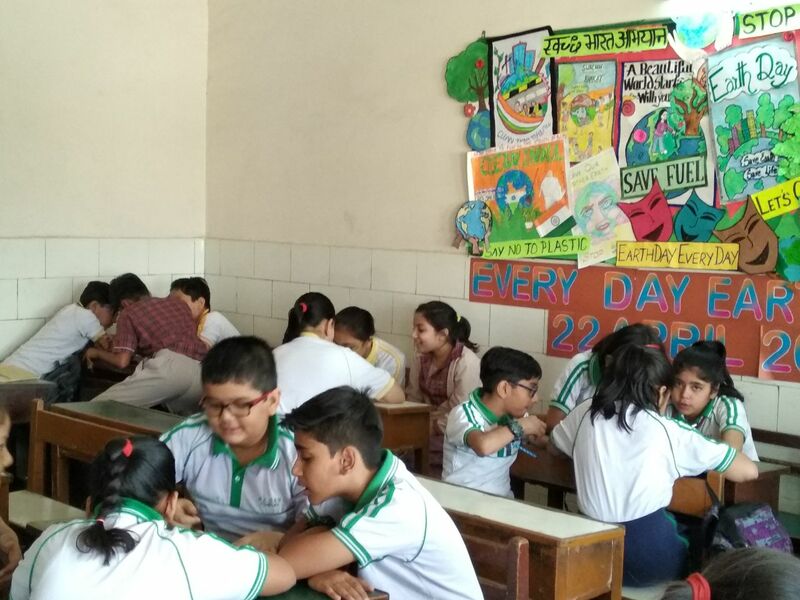 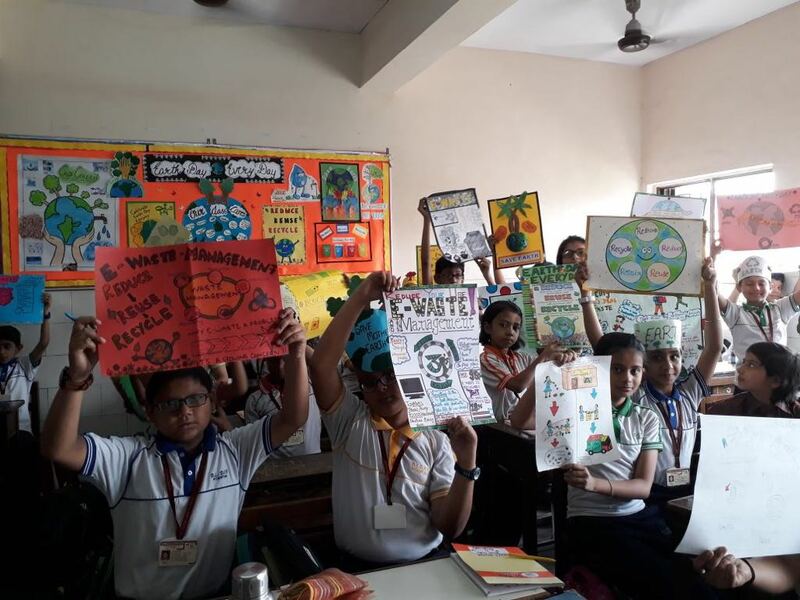 Students wrote slogans on the topic “Earth Day – Every Day”. appreciated by in and all . Disposal of e-waste is an emerging global environmental and public health issue, as this waste has become the most rapidly growing segment of the formal municipal waste stream in the world. 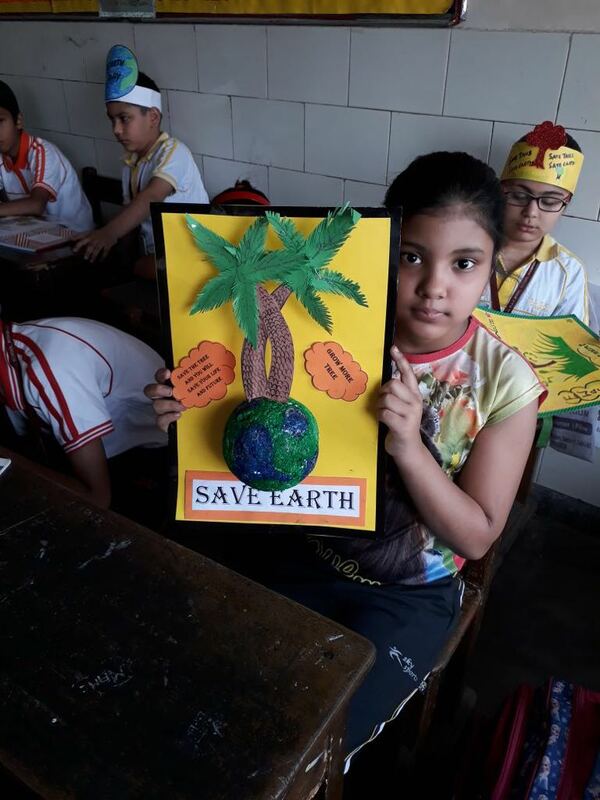 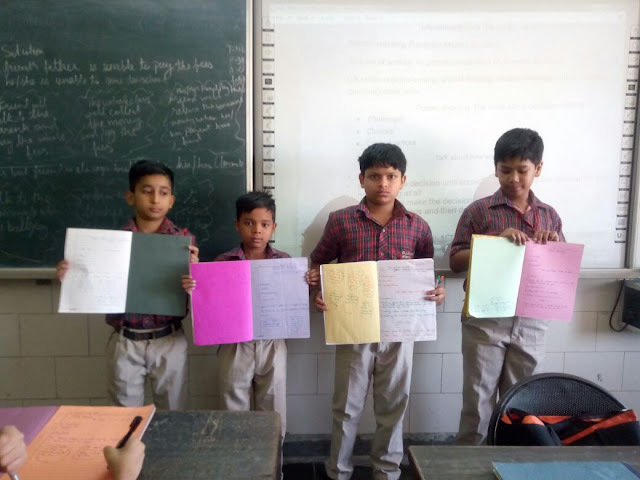 The students of class V made attractive posters on the above theme. Their efforts were appreciated . 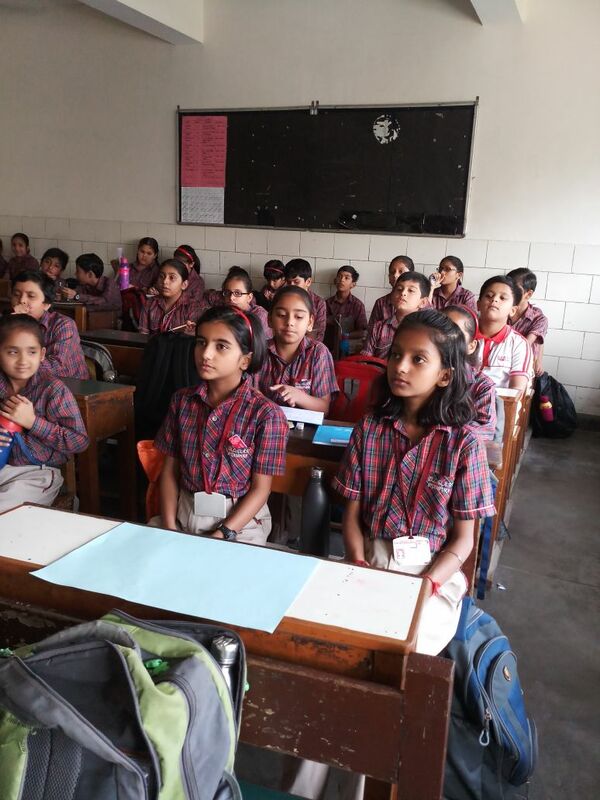 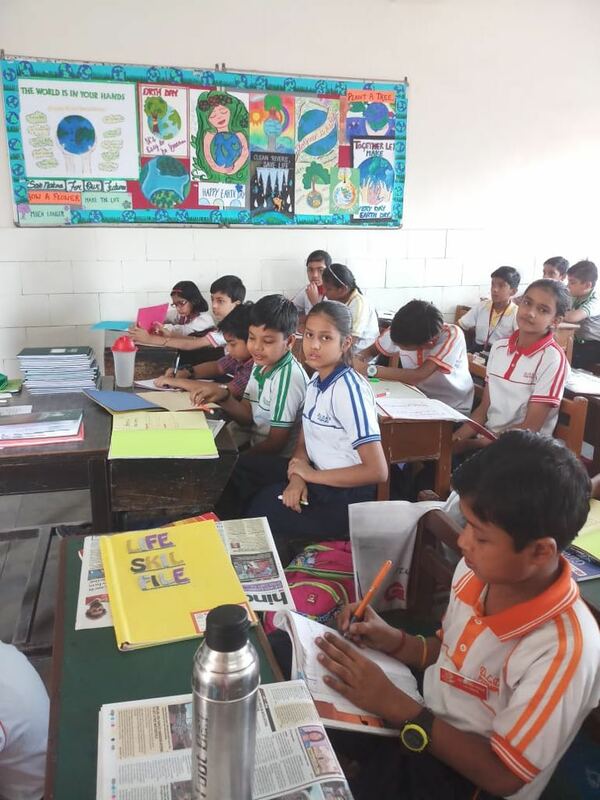 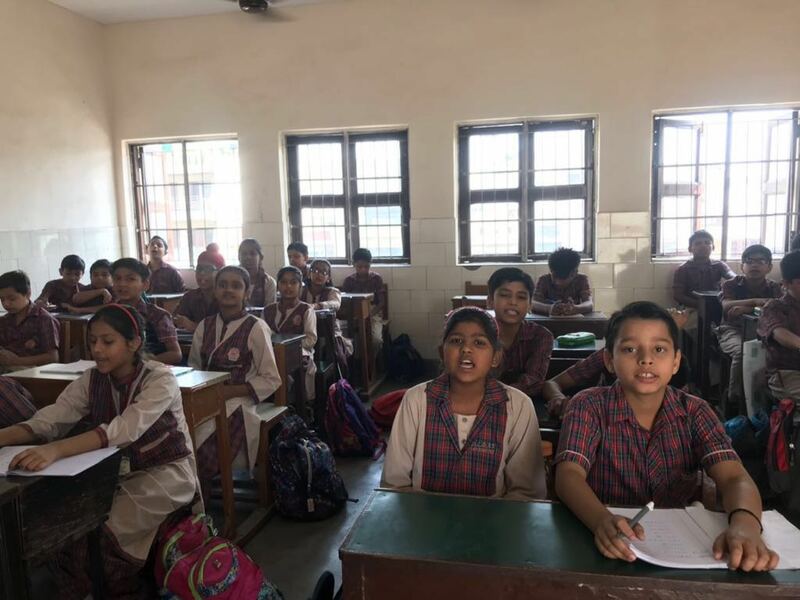 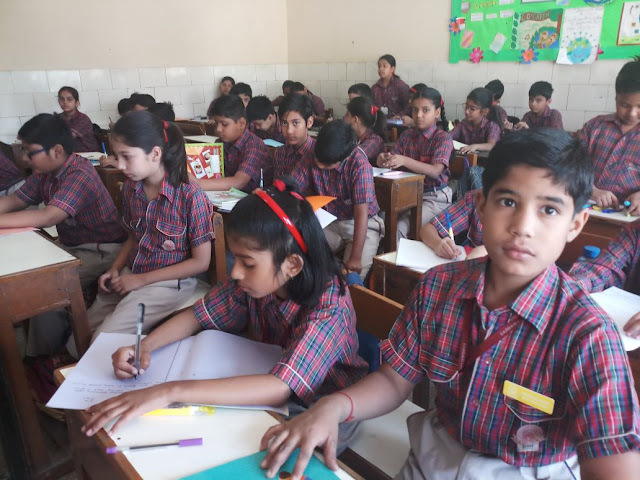 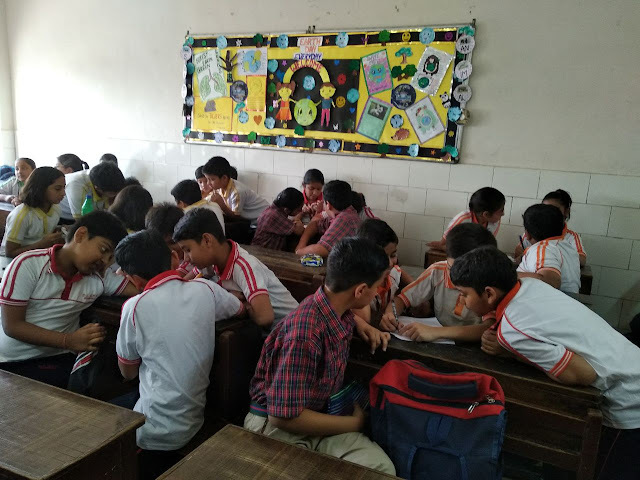 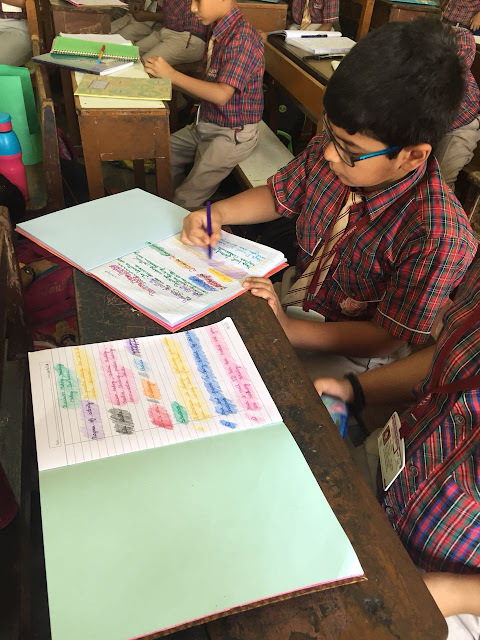 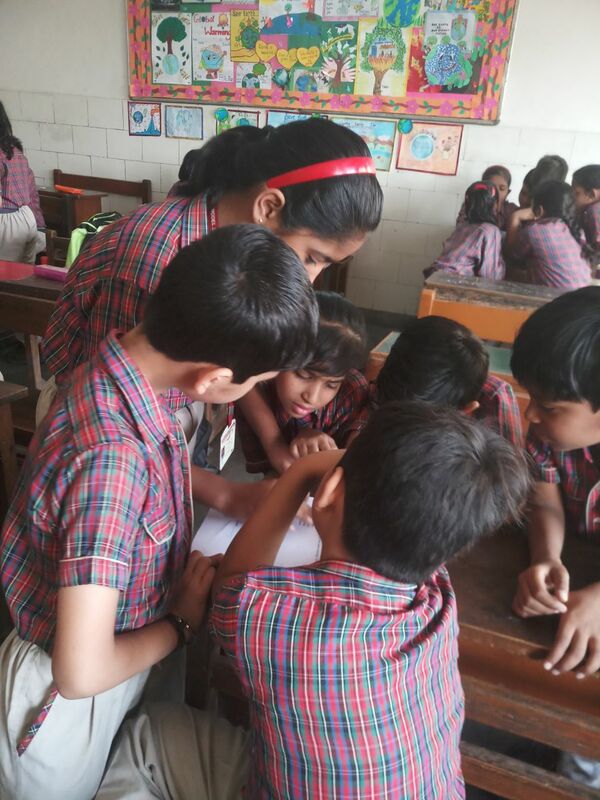 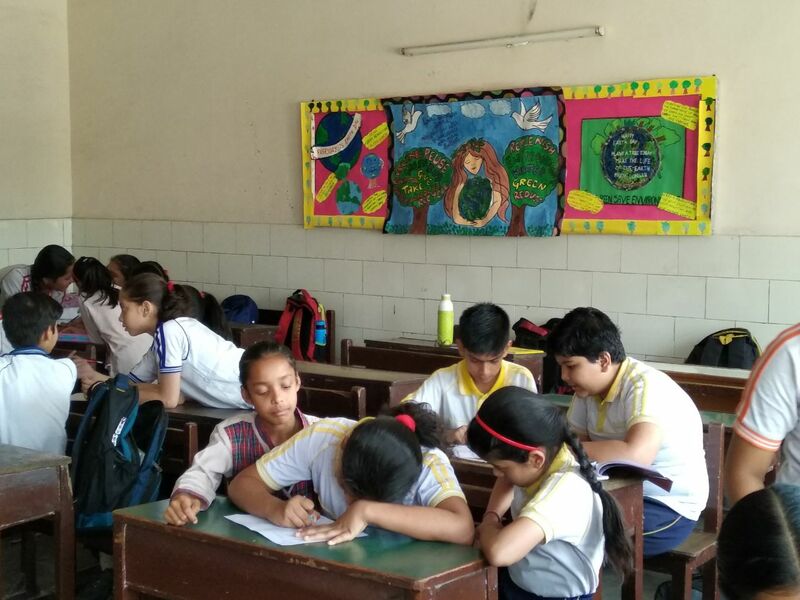 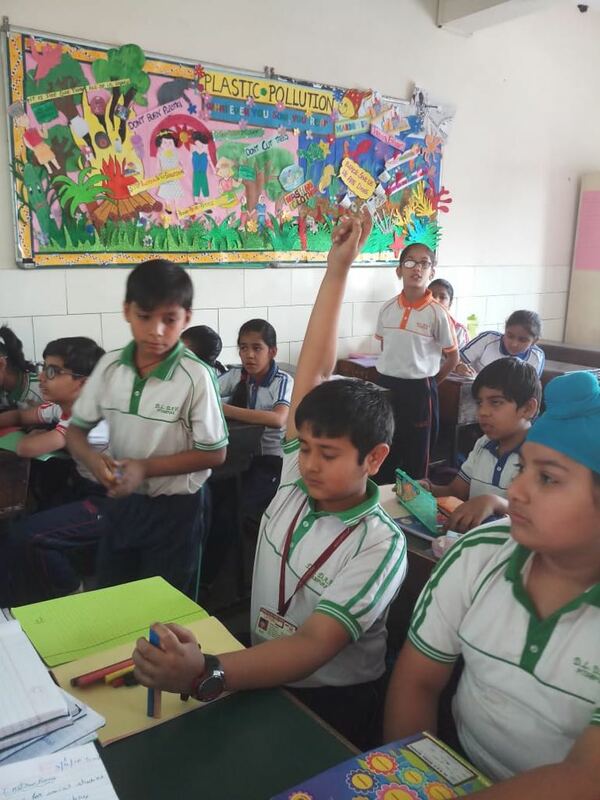 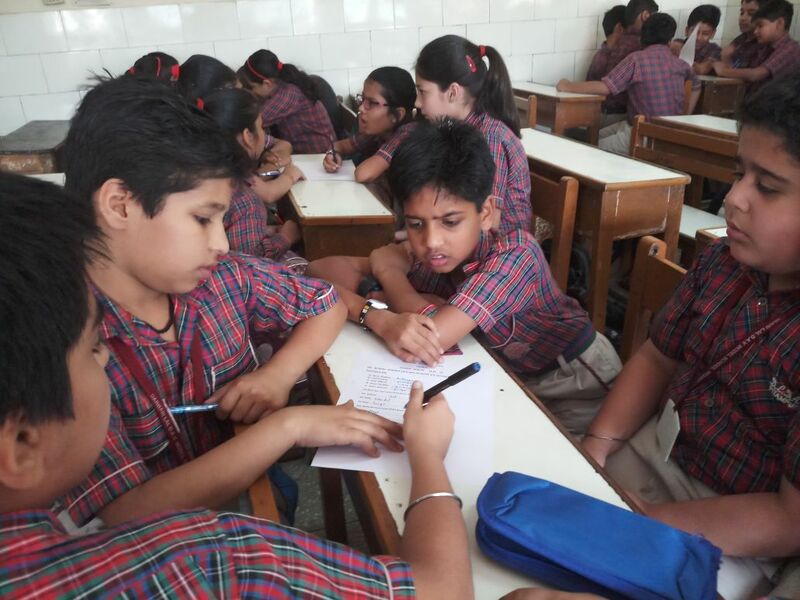 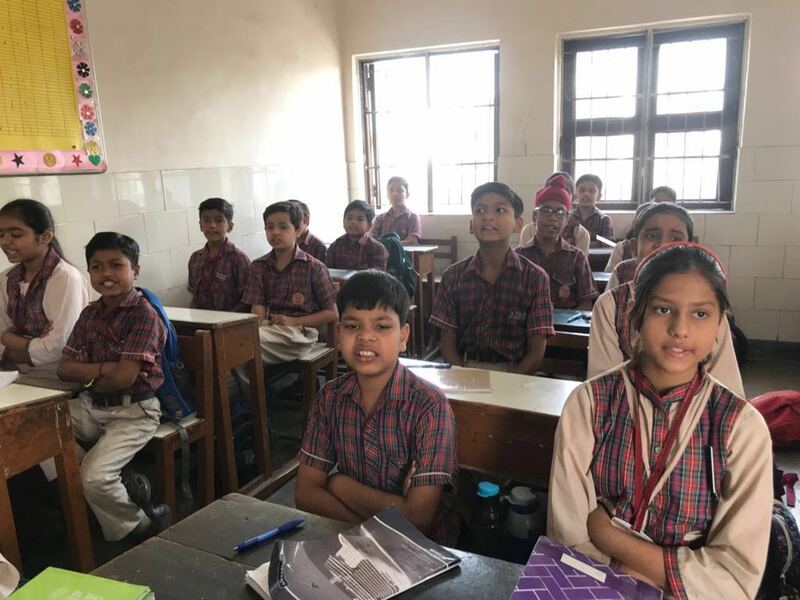 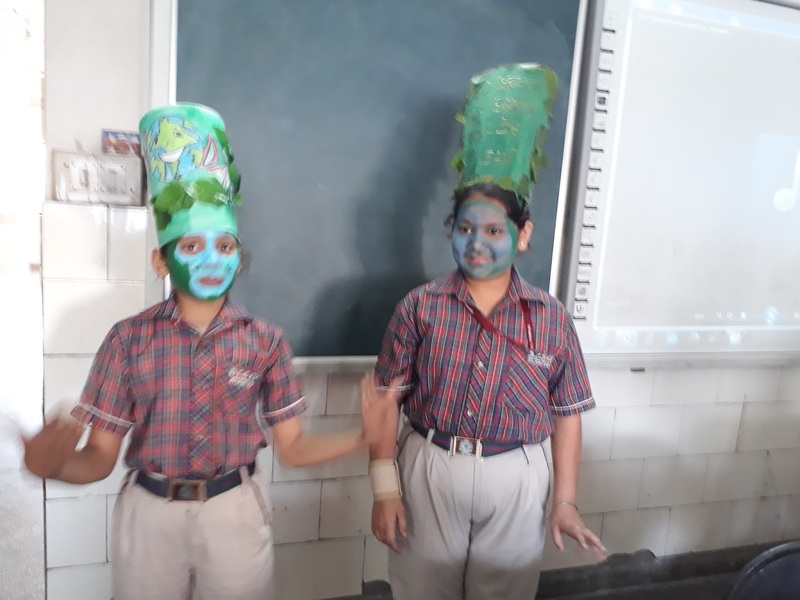 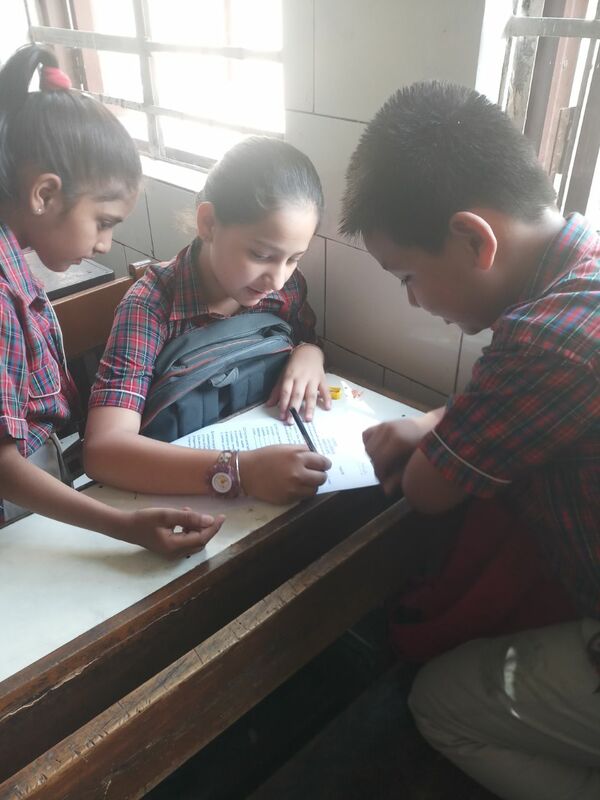 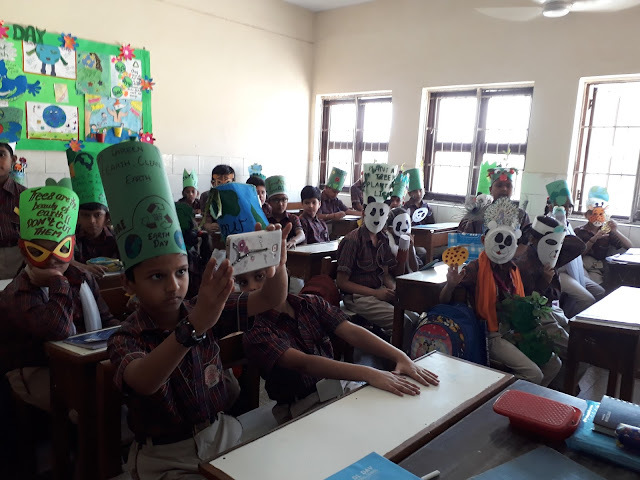 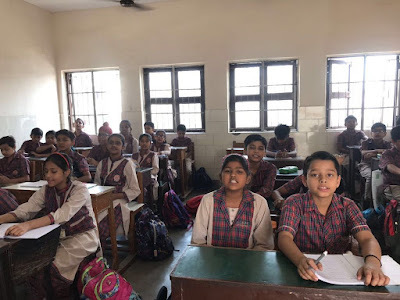 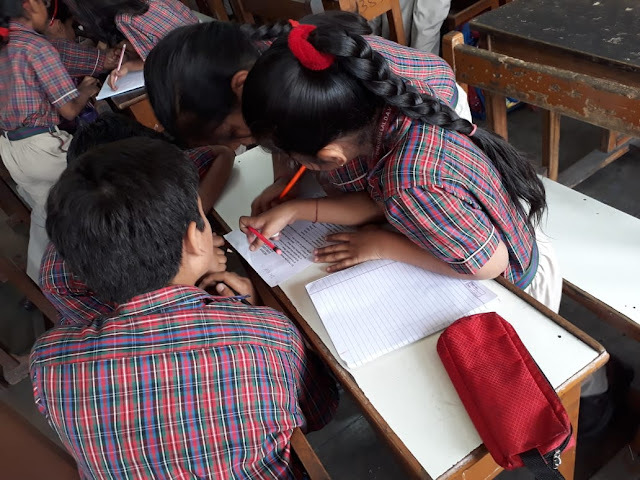 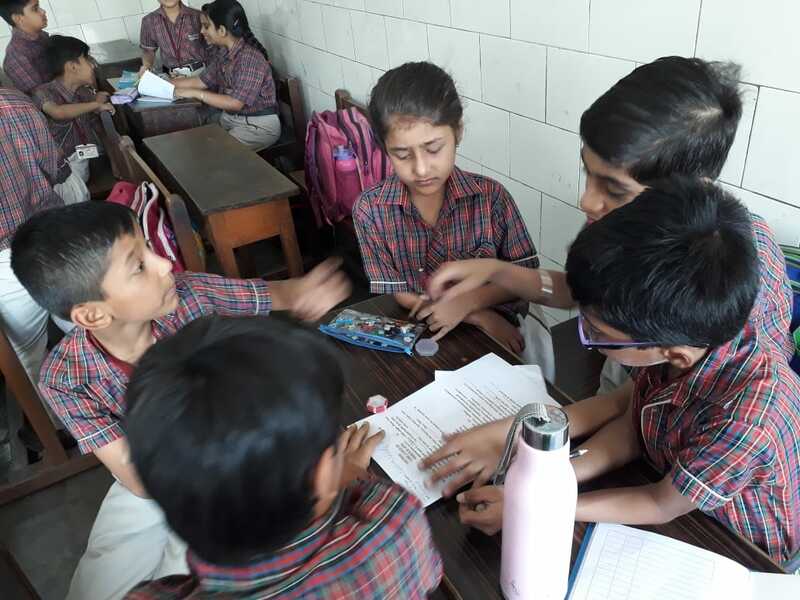 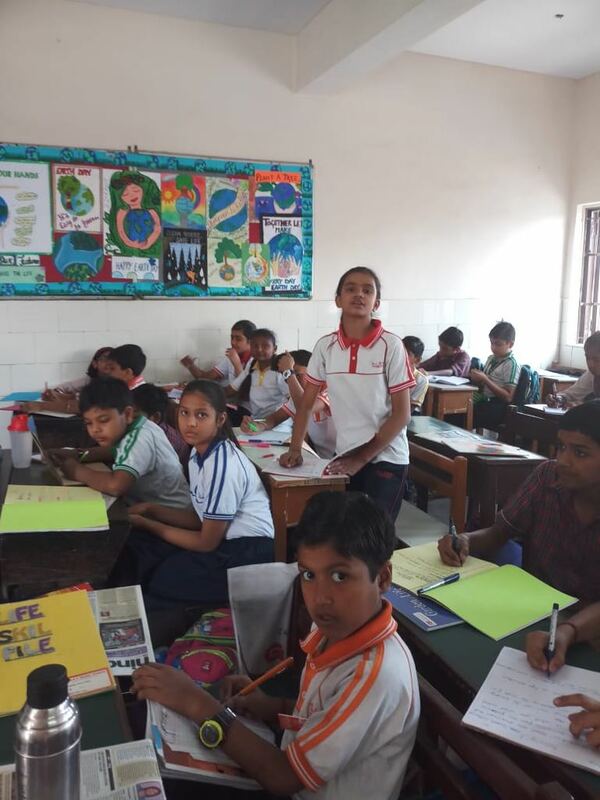 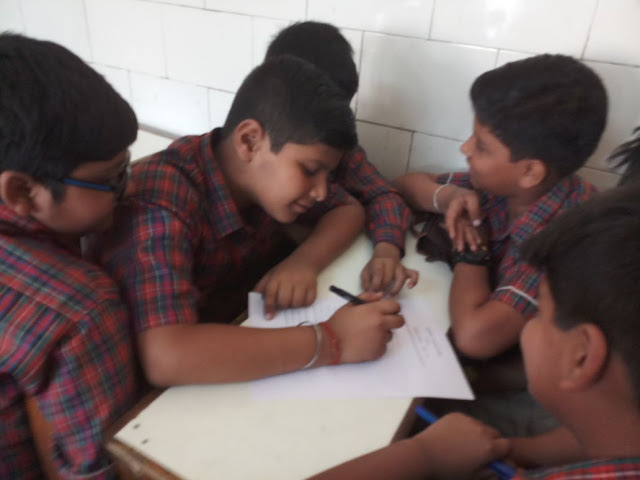 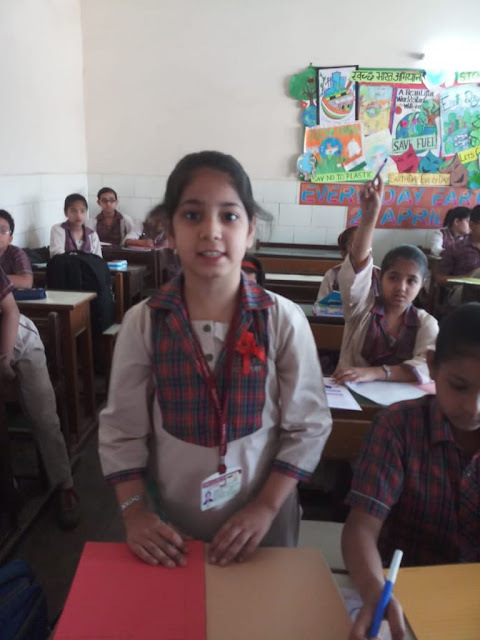 In class VI the activity was conducted house wise. the students were given topics to make presentations . 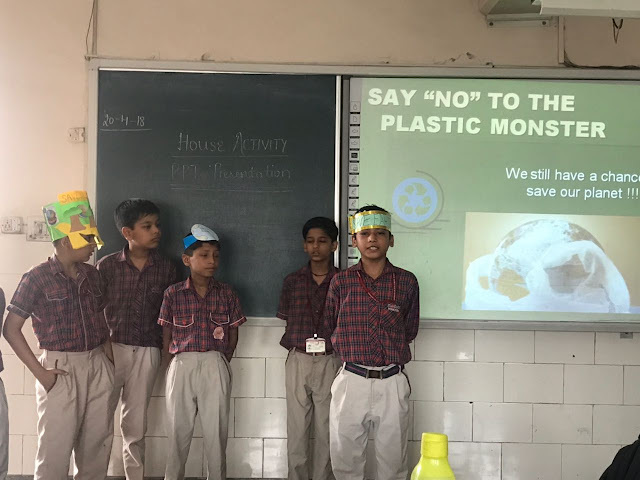 Courage House : What really happens to the Plastic you throw away. Modesty House : Plastic pollution in the oceans. 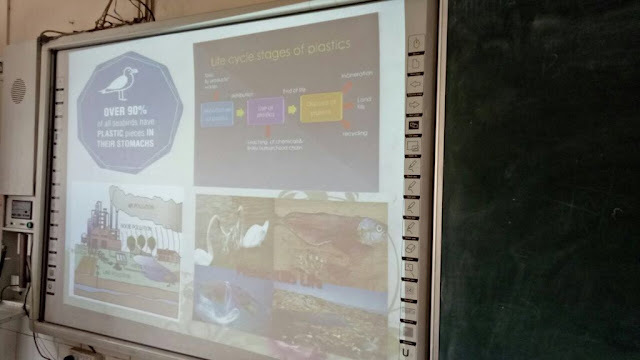 Enterprise House : Plastic pollution and our health. 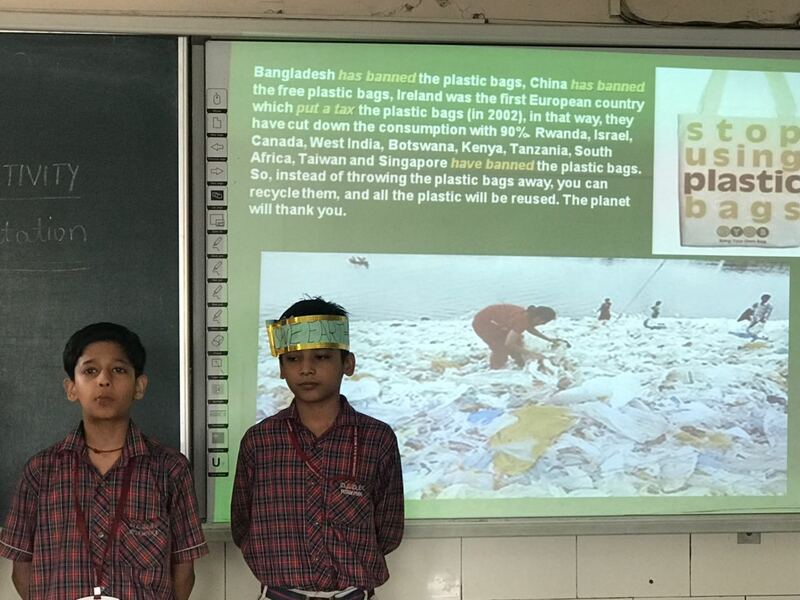 Freedom House : Plastic pollution foot print calculator. The presentations were followed by an interactive session. 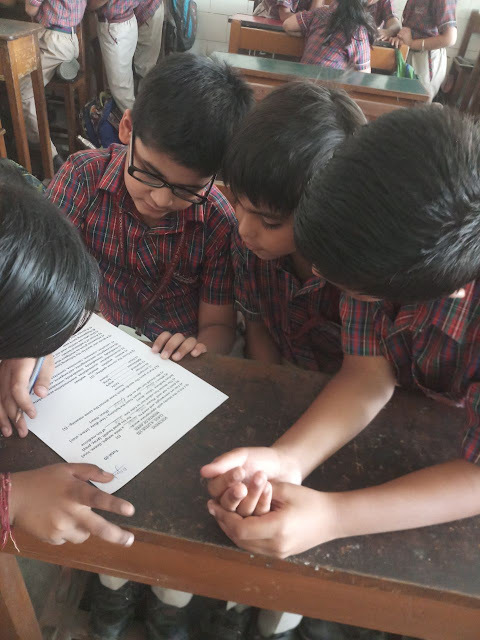 A questionnaire comprising of 5 questions each was also given to each house. 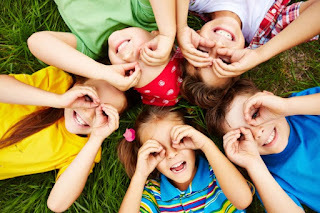 putting off the decision until someone else makes the decision for you. 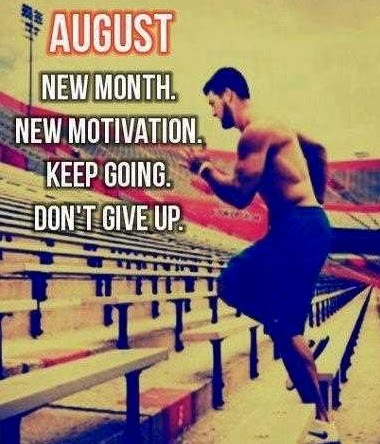 Letting others make the decision. 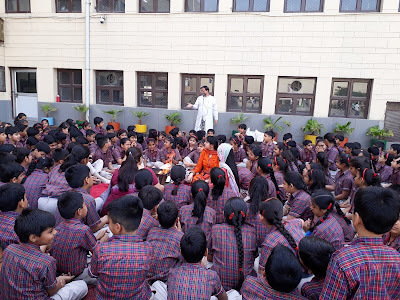 IT WAS AN INTERACTIVE SESSION. 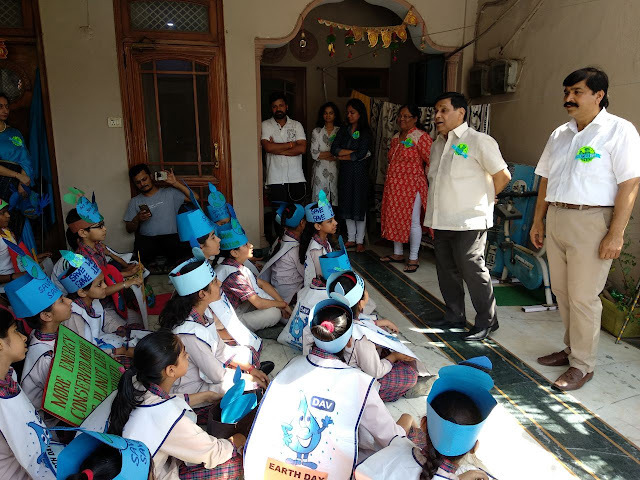 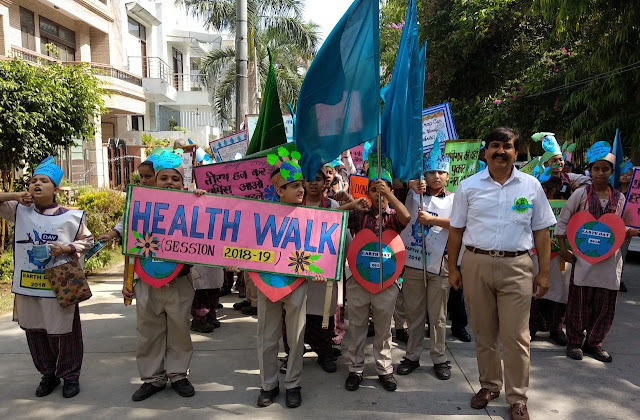 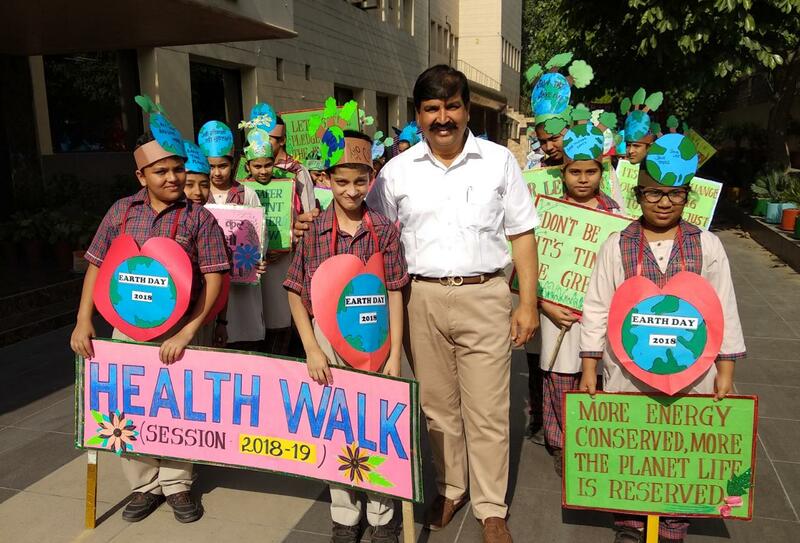 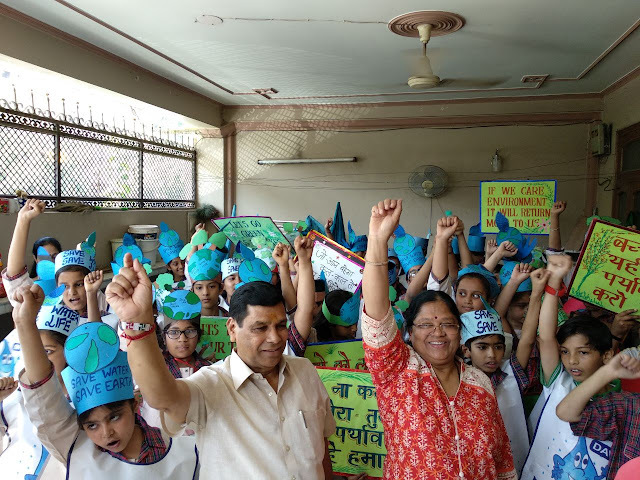 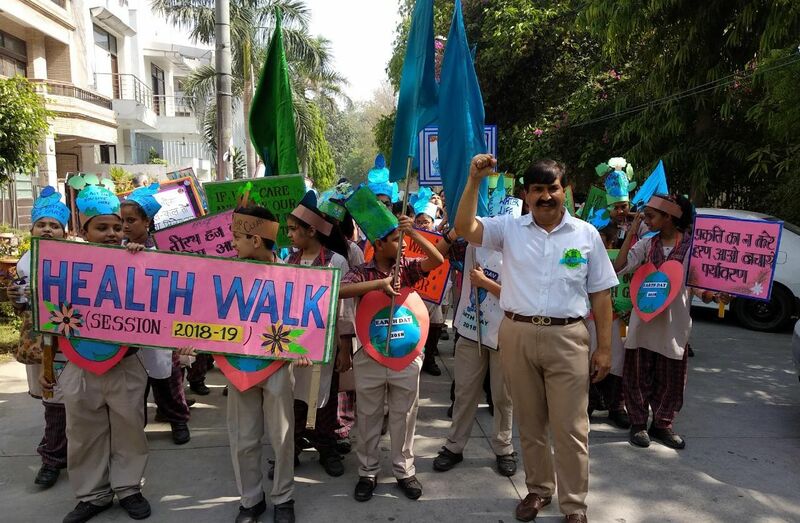 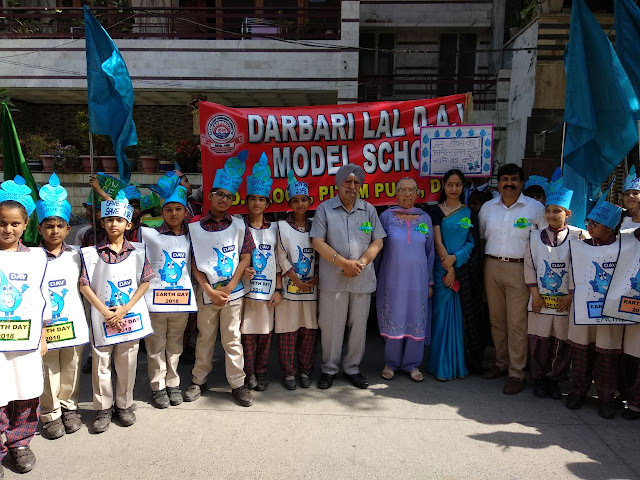 took initiative and marched ahead in the school premises and the neighborhood to spread awareness about importance of water and a safe and healthy environment . 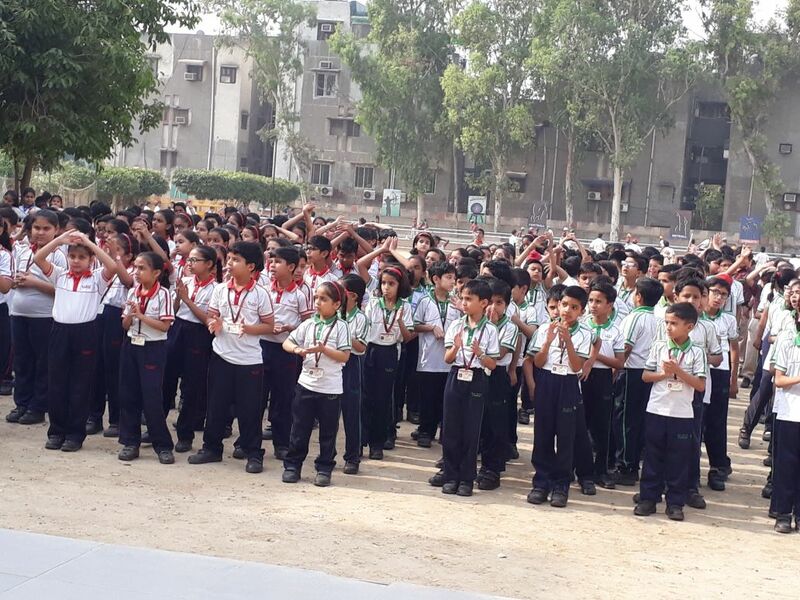 The students marched ahead inspiring all the people with their slogans and Nukkad natak. 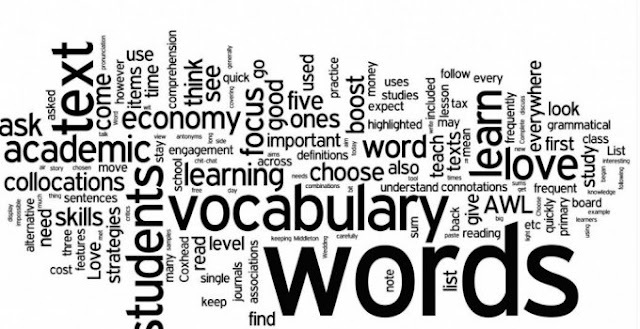 Vocabulary is one of most important skills necessary for teaching and learning . Students of today are the visionaries and torch bearers of tomorrow. 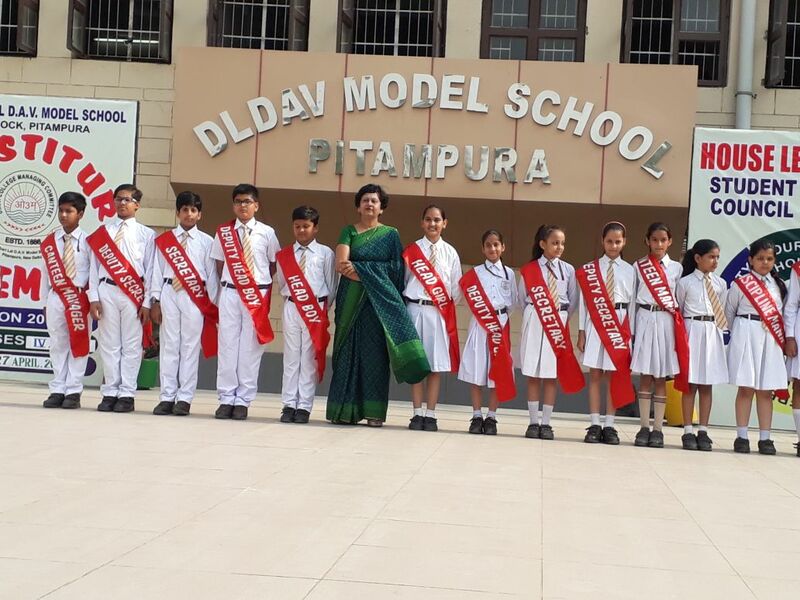 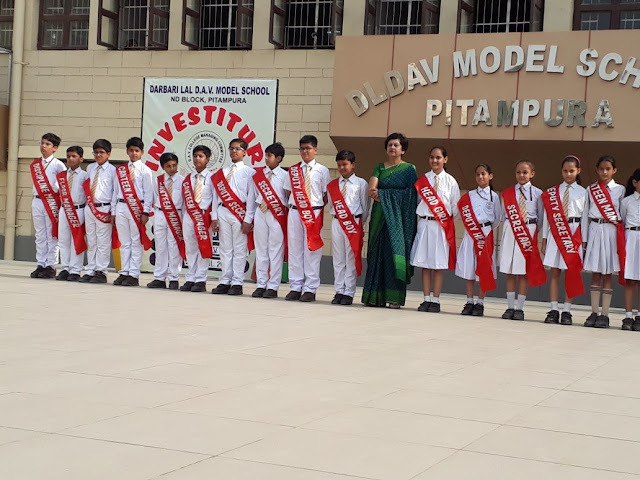 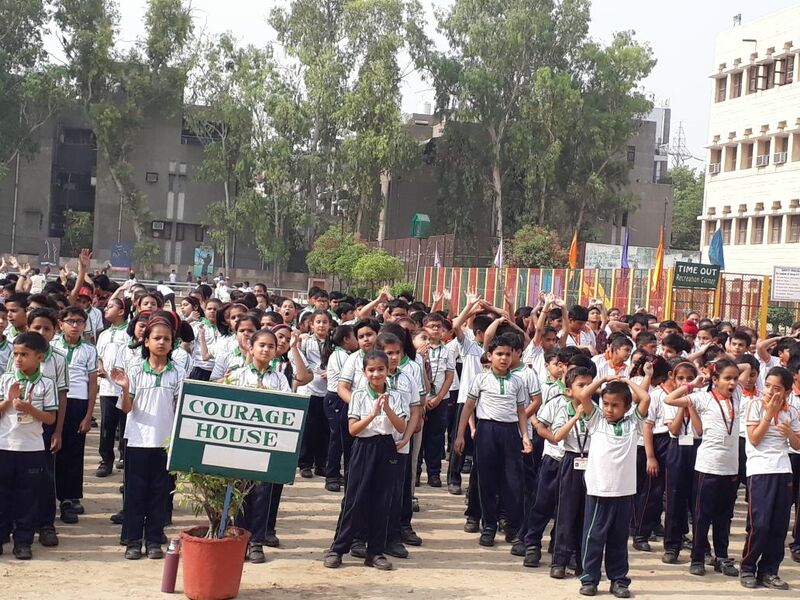 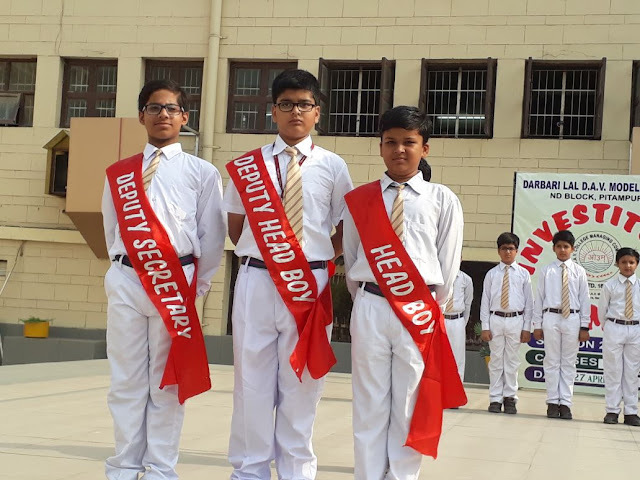 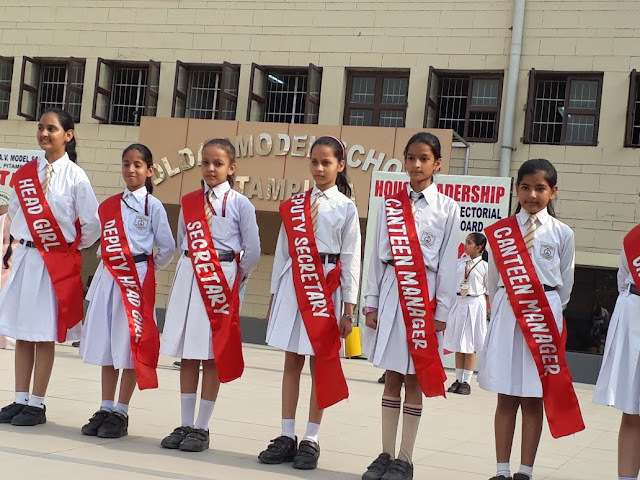 Nurturing students to be future leaders, D L D.A.V Model School held its investiture ceremony to bestow the deserving students of class VI with responsibility of leading the school with honor. The newly appointed council members from class VI, for the year 2018-19 took oath, received their badges and took over the responsibilities. The Principal Ms. Anita Wadhera of the school did the honors of investing the young leaders. 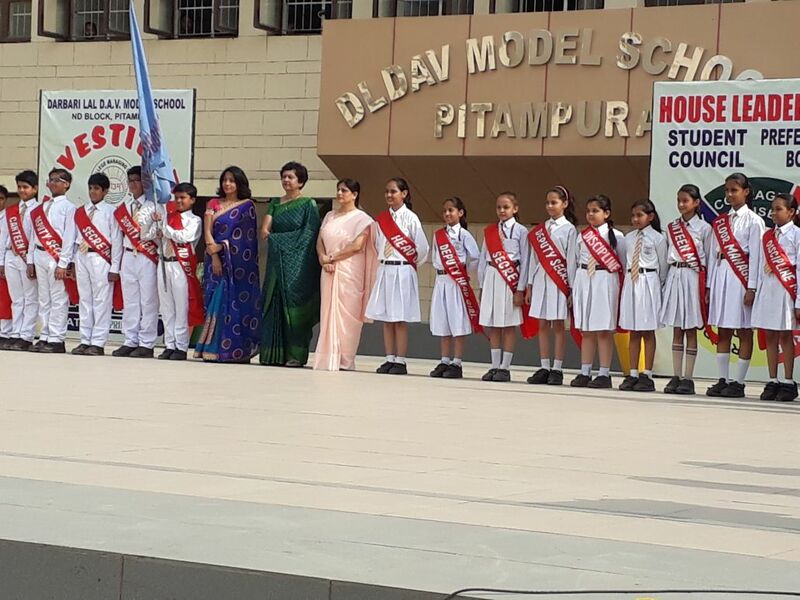 In her speech she encouraged them to be true leaders, guide and motivate others and be a role model themselves. 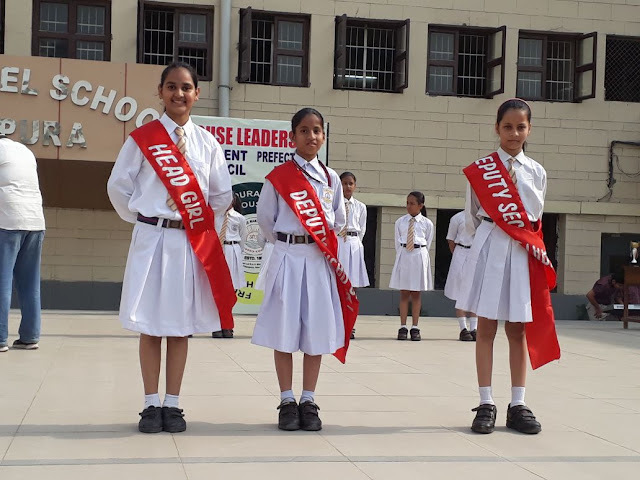 Rijul Chhikara and Head Girl Vyomika. 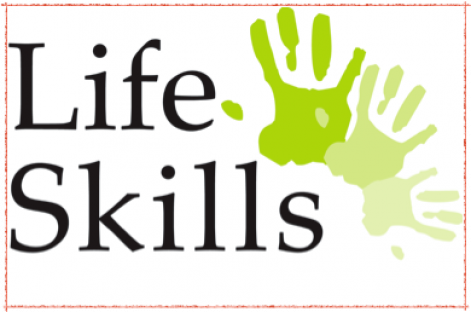 The objective of the event was to espouse the confidence, development of leadership qualities and sense of responsibility among the students.. 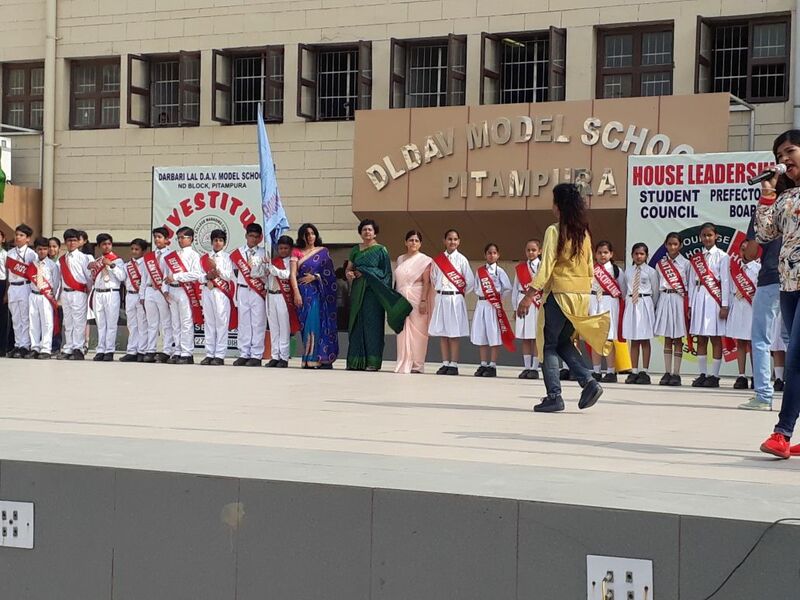 The tradition of House system is an important part of a school education. The system is essentially the back bone of the school. The houses were awarded trophies for their efforts to maintain the decorum of the school throughout the year.